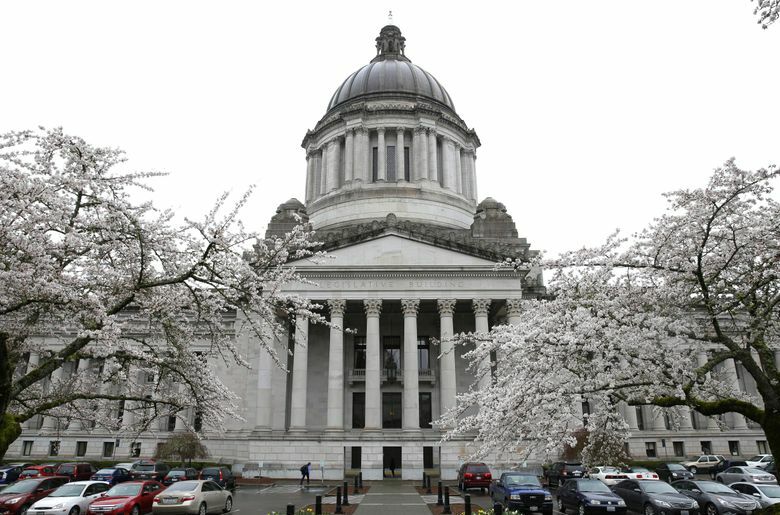 The Washington House Thursday voted to delay the so-called school-funding “levy cliff,” a measure sought by Democrats and many school districts. The bill now goes to Gov. Jay Inslee’s desk. OLYMPIA — The Washington House Thursday voted to delay the so-called school-funding “levy cliff,” a measure sought for months by Democrats and many school districts worried about a looming revenue drop next year. The 87-10 vote to approve Senate Bill 5023 in the House follows Wednesday evening’s approval in the GOP-controlled Senate and comes after months of debate in Olympia over K-12 education funding. Gov. Jay Inslee said he would sign the bill when it arrives on his desk. “Our time is now, and our time is now to help our state in providing an excellent education for our kids,” said Rep. Kristine Lytton, D-Anacortes, chair of the House Finance Committee, during debate on the House floor. Rep. Paul Harris, R-Vancouver, said he supported the bill because he does “not feel like this releases the pressure” to tackle the larger issue of resolving the state Supreme Court’s funding order known as the McCleary decision. “This does not kick the can down the road,” added Harris, who along with Lytton served on a K-12 education-funding task force. Right now, school districts can raise up to 28 percent of their levy base through local property-tax money. The levy base is the amount of money districts get in state and federal funding. That drop could have caused an estimated $500 million shortfall for school districts beginning next year. House Democrats in January approved their own legislation to delay the levy cliff, but that bill languished in the Senate. Democrats have pushed to delay the levy cliff, saying it is necessary to provide school districts financial stability while lawmakers figure out how to resolve the court-ordered K-12 education funding plan. Because of the uncertainty over funding, some school districts have been drafting multiple possible budgets, said House Majority Leader Pat Sullivan, D-Covington, in the floor debate. Republicans have argued that delaying the levy cliff would take pressure off lawmakers to come up with an education funding plan that meets the state Supreme Court’s requirements. The court ruled in 2012 that Washington was violating the state constitution by underfunding schools. By delaying the levy cliff, “We are once again removing the urgency of the situation,” said Rep. David Taylor, R-Moxee, when announcing he would oppose the bill.